Lyn Allen coaches executives and high performing professionals in a variety of industries, helping them achieve their full potential, cope with career challenges and successfully navigate personal and professional transitions. One of the earliest Master Certified Coaches from the International Coach Federation (ICF), Lyn is a senior trainer for Coach U and one of their first Professional Mentor Coaches. In 2013, she was invited to join the University of Miami’s Proficient Coaching Certificate Program as an adjunct faculty member. Coaching has been a foundational endeavor for Lyn, who as a college student successfully coached a high school swimming team to multiple state championships. 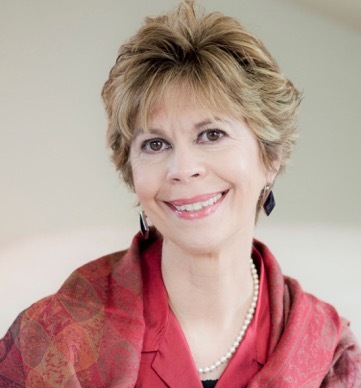 Her experience as an author and speaker led her to co-­author two of the earliest publications in the coaching field, Closing The Gap in Management and Coaching from the Heart. Her corporate career includes facility start-­‐up experience for a Fortune 200 company. Lyn also broke a glass ceiling as she spearheaded the integration of end-­user computing across a seven state region for a leading natural gas company. Certified Financial Planner transitions careers, launches a new business and consistently increases revenue generation. Executive in charge of compliance for a large, highly regulated multi-­national, steps into internal mentoring role, develops new communications and relationship skills to support his team in handling radical organizational changes. Director of benefits administration company shifts focus, takes on new responsibilities, decreases stress, and improves perceptions of his contribution to the organization. Management recruiter improved his recruiting and placement process, tripling his income in less than 6 months. Mid-­level manager launches innovative developmental programs, improving communication, decreasing stress and boosting sustainable performance at multiple levels throughout the company. Small business owner shifts perspectives and decreases personal reactivity in order to face some difficult decisions in a family-­operated business.